Brian Mulligan is a multi-award winning editor, and has a strong commitment to his craft and to broadcast television. Local broadcast television reflects and influences the ideals of a community and for the past 20 years, Brian has helped shape the on-air television culture at WTHR-TV in Indianapolis where his work is seen by 1.2 million households everyday. Being a broadcast editor often means you are an editor, producer, writer, & graphic designer. 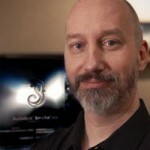 His main tool is Autodesk Smoke, and has been a Smoke editor/artist since 2003. Brian is also comfortable with Adobe CS6 Production tools, so he is ready to handle any creative task that comes his way. Download 75 FREE .look files for Adobe Speedgrade, that can also be used for creative grading in Autodesk Smoke. Autodesk made a big announcement on the Sunday before NAB and revealed their new product line up for their creative finishing products…introducing Smoke 2015 and Flame Assist. 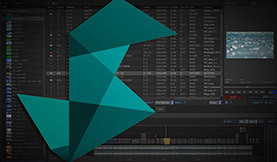 Check out these 5 FREE templates for Autodesk Smoke! Sharpen your Smoke skills and add sharp looking graphics to your video editing projects. Check out the new Autodesk MasterClasses – great for learning new techniques and workflows in Smoke and Flame! In this post, we give the complete rundown on importing and organizing Photoshop files for use in Autodesk Smoke – essential knowledge for Smoke video editors!